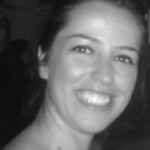 This week’s Into-yous features Turkish expat Kubra Ozsu Clarke. I am a happy young newly wed looking for calm and peace in life. I like helping people especially those less fortunate than myself. I love my job! It keeps me busy, I almost forget about time when I am in the office. I am very happy to be part of the Eton team, especially the Marketing team. I like my colleagues and our very friendly and cosy atmosphere. I think true happiness is comes with a job you love and going with a big smile on your face. I enjoy shopping, writing, reading, socialising with my friends, learning new things. I have a passion for food and enjoy eating out and trying new things especially at weekends. I have a strong belief in following a healthy lifestyle and I am trying to do yoga. I moved to Dubai just after getting married in Istanbul, December 2011. My husband was working in Dubai so I had to move here for us! No, this is my first expatriate life experience, I feel lucky I am in Dubai. I was told it is a very relaxed country. Enjoy your time and make the most of everything. Everything! Since it was far better than my expectations. I love my apartment in the Greens, we have very impressive view from our balcony. Watching sunset in the dessert and by swimming in the sea, it is amazing! Well, I want to spend all my holidays in my home country Turkey. But have to persuade my husband for this. I think I am homesick! Mumzy and my 2.5 years nephew. I like Lebanese restaurants in Dubai. I can not forget the taste of the food at Banyan Tree Resort! Everything 😉 Manti and real Turkish kebab the most. Atlantis, Jumeriah Medinat , Dubai Mall, Sunset Beach, Bab Al Sharm.